I clicked on this link over at Politico yesterday, as it was billed as “Tyler’s Grankid: Newt’s a ‘jerk‘.” Who the hell is Tyler, I wondered? 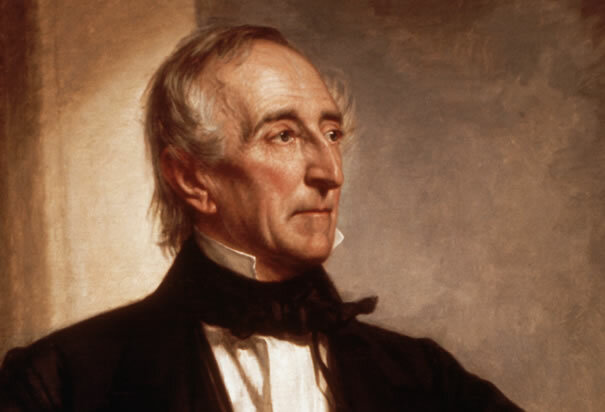 Surely not President John Tyler (1790-1862). Could anyone alive today really have a grandparent who was born in the eighteenth century? Hey, watch your slinging of take-thats. This Tippecanoe gal has some pride in our slim connection to presidential pretensions. See you at Battleground! Sometimes late-in-life babies throw off the presumed timeline. My uncle was the last person at our alma mater to qualify for the “Sons of WWI vets” scholarship when he started his undergrad work in the 60s. The scholarship administrators were surprised to find his application perfectly valid. About as surprised as my grandmother was to find she was expecting when he came along! Not as impressive as Tyler’s, I’ll grant you. That’s just scary. 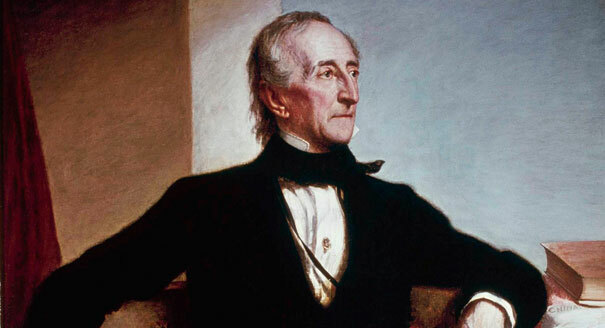 Zombie John Tyler, anybody? Another sign the Newt is indispensable. As opposed to some historians, I am neutral about any Tyler you have in mind. Headline: Even 150 years ago Newt was instrumental. I’d want to look at the lab results to buy the premise that the guy is a grandchild. W. H. Harrison’s grandson was president back in the early ’90s–the 1890s! @Indyanna: I don’t know if there’s any particular reason to doubt the lineage here. I’d actually heard this story before, because President Tyler’s son, Lyon Gardner Tyler Sr., was the founding editor of the William and Mary Quarterly (First Series). Apparently Lyon Gardner Tyler Jr. called the offices of the Omohundro Institute a few years ago and asked to meet the people who worked at the Institute and the WMQ. They assumed at first that he must be LG Tyler’s *grandson*, but were assured that no, the professor had followed in the footsteps of his politician dad by fathering children as a senior citizen. I suppose I’d love a headline somewhere to be “Early American historian’s son calls Newt Gingrich a jerk!”, to reflect the sway we have in American culture. That will likely not happen, however. Was Lyon Gardner Tyler (Sr. or Jr.) related to the 17th C Lion Gardiner who wrote a memoir of the Pequot War? He was one of the less clueless military men I wrote about in my book, as I recall. Well, my father’s grandfather was born in 1830 – and my father is alive and doing OK at almost 88. Since men do father late in life children, this isn’t that strange. I was going to ask the same question Historiann did. THAT Gardiner got his own island, and centuries later his own conference and then a special edition of a journal, which is pretty not-clueless! p.s. Wikipedia says that Lyon is indeed descended from Lion, and it already has coverage of the Newt is a “big jerk” flap.